Best For: Securely Encrypting your Personal Videos and Files. System Requirements: Windows 10, 8, 7, Vista, XP. Only Video Padlock has Instant Playback. Just select a video, then click Play to watch it immediately using your preferred Video Player. Other encryption programs may take minutes to decrypt large movie files. Video Padlock will play huge video files right away with no delay. 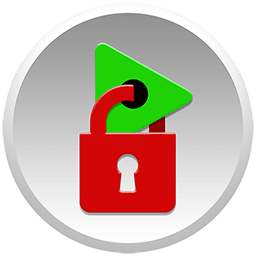 Video Padlock encrypts files with ultra-secure 128 bit ARC4 encryption, the standard process used by governments and industries around the world. Video Padlock can also be used to protect audio or any other file type with this robust security. Try Video Padlock FREE. The free demo is fully functional so that you can try all of the features. You can have up to two files encrypted at any one time in Demo Mode. Once you order your, encrypt as many files as you like. Ready to Buy? Video Padlock comes with a no-questions asked 30-day money back guarantee.